Kerrilynn is the co-founder + CEO of CAP Beauty. That more than 100 “satos,” also known as Puerto Rican stray dogs, made their way to New York this month. 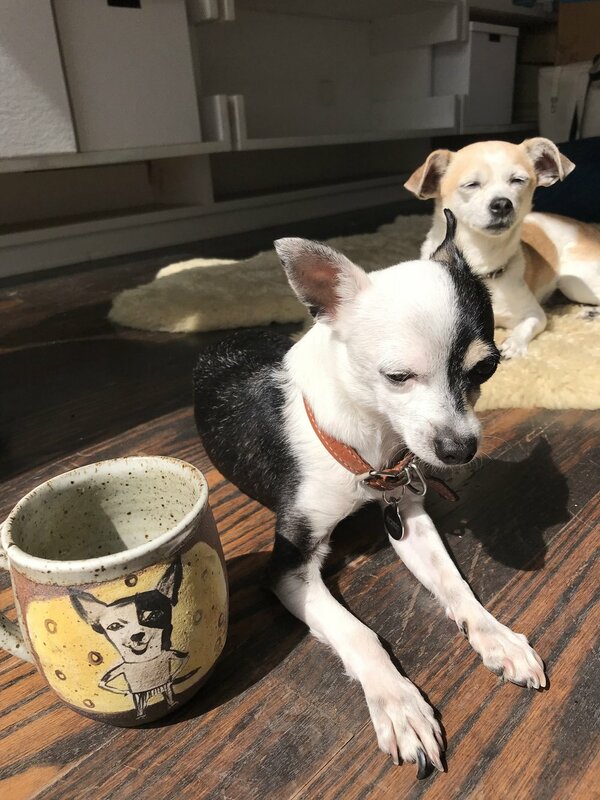 I have a deep love for rescue animals and anytime I hear about one — let alone 100 — finding their way home, it fills me up. Their resilience, determination, and forgiveness inspires me deeply. This might not be directly related to the natural world but hear me out: I’ve been drawing an animal card every day for my business partner and another friend, then I text them the photo and a little language about what the animal represents. It’s a beautiful practice that sets the stage for the day and allows for reflection at its closing. It also makes me feel connected to the natural world and to my friends. We went to Italy this month and walked the Vatican. The enormity of the space, the commitment to aesthetics, and the scale floored me. Travel. My recent move to the West Coast and the launch of our book has me traveling more than ever. I’m a pretty disciplined person who craves routine and schedule and this has turned a lot of that on its head. It’s been interesting to watch how it affects me physically and mentally. I’m actively leaning into it and managing it better than I thought I would but it has been challenging and revealing. I’m doing my best to be as honest, open, and truthful as possible. It can be difficult, especially when you are a pleaser by nature, but also more liberating than almost any other practice. 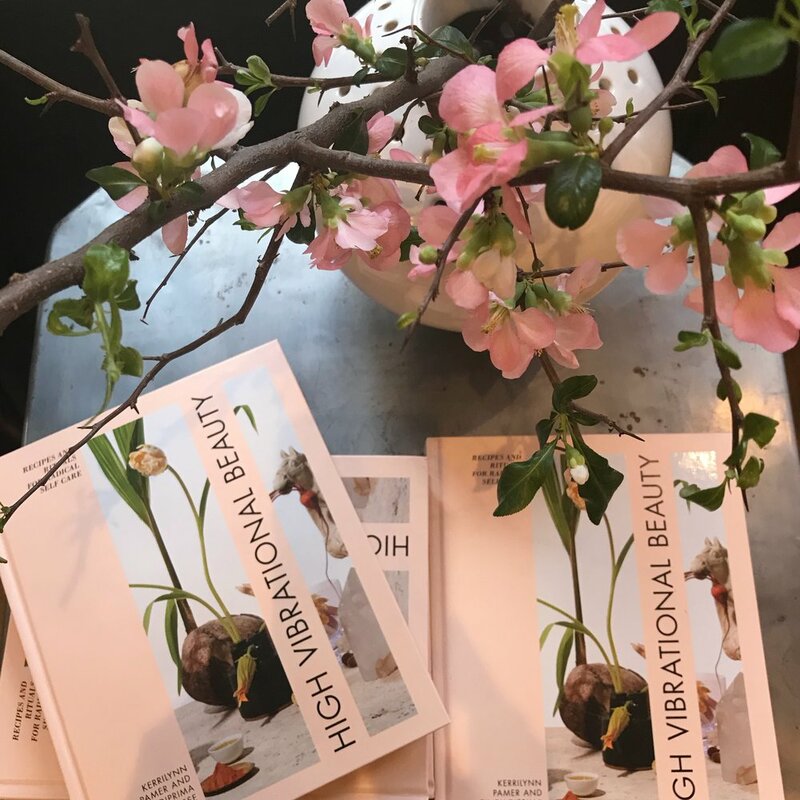 Our book, "High Vibrational Beauty," came out on April 3 and has been a wild ride. My business partner, Cindy, and I have been working on this for over a year and to see it in the world is profound. And to hear about its impact on others makes me happy in ways that are hard to describe. I reconnected with an old friend. We hadn’t seen each other in years and honestly didn’t know each other all that well before but I know this relationship is one that will be in my life for a long time. We found each other again, at just the right time, and the timing feels divine. I got rid of my dresser in New York. I love a fresh start and have been reassessing my clothing so this feels like a new beginning and one that is particularly welcome. The support that I have from my staff, friends, and family. It’s palpable this month. Since I’ve been traveling so much this past month, I’ve been in many different climates and weather environments. It’s made me realize that I’m just walking this earth and no matter where I am, there is a larger plan going on around me. It’s made me feel small and also part of a much larger system that moves regardless of my daily actions. It’s also made me realize that all I can do is do my part, everything else is outside of my control. Just stay in my lane: honest, open, kind, and grateful.